From VOA Learning English, this is the Agriculture Report in Special English. Poinsettias are the best-selling potted flowering plant in the United States. Red poinsettias are a traditional part of Christmas celebrations, which is why almost all of them are sold at wintertime. The Department of Agriculture estimates that Americans bought $250 million worth of poinsettias last year. The poinsettia is native to Central America and needs warmth to grow. Bright red poinsettias are the best known. But there are about one hundred different kinds, in colors including white, pink, yellow and purple. The flowers of the poinsettia are very small. Around the flowers are colorful leaves called bracts. These bracts are what give the plants their beauty. 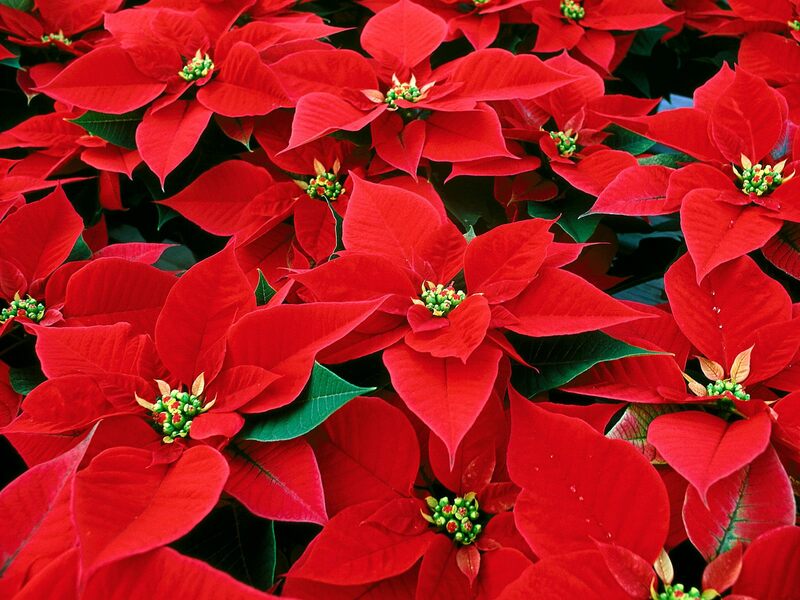 The poinsettia is named for Joel Roberts Poinsett from South Carolina. In 1825 President John Quincy Adams appointed him as the United States' first minister to Mexico. Poinsett had an interest in plants. He saw the colorful plants growing in the wild. Wild poinsettias can grow up to four meters tall. He liked them so much that he sent some cuttings back to the United States. The botanical name for the plant is Euphorbia pulcherrima. In Latin, that means "most beautiful euphorbia." There are hundreds of related plants, including rubber trees, trees that produce castor and tung oil, and the cassava, a root crop. People who are allergic to the latex produced by rubber trees can develop a mild skin rash from poinsettia plants. Babies and pets that chew on poinsettias can get sick. But experts say the plant is not as poisonous as some people think. In the 1920s, Albert Ecke and his son Paul became interested in the poinsettia’s ability to flower in winter. Paul Ecke thought it would be a good plant to display at Christmastime. They started a farm near Encinitas, California. At first, Paul Ecke, and later his son, grew large plants in fields. Then they sent them to growers by train. Growers would divide the large plants into cuttings, to raise smaller ones in greenhouses until the holidays. In the 1960s came poinsettias that grew best in containers. The Eckes started to sell cuttings from these new plants. Today Ecke Ranch remains a major supplier in the United States and around the world. In August, Paul Ecke's grandson announced that the company was joining the Dutch-based Agribio Group.